What issues do you want the presidential candidates to address? A new poll indicates a lot of adults want more talk about children's health. WASHINGTON — What issues do you want the presidential candidates to address? A new poll indicates a lot of adults want more talk about children’s health. The University of Michigan’s C.S. Mott Children’s Hospital regularly surveys adults across the country on issues related to pediatrics. 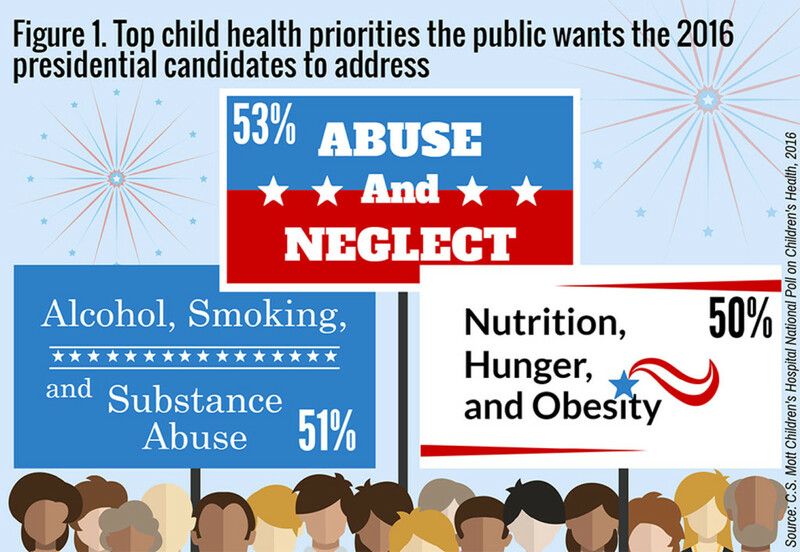 In past polls, a majority of respondents have said a candidate’s position on child health issues could affect how they vote. This time, the folks at Mott dug a little deeper, asking 2,000 American adults to name their top three pediatric health priorities. They were presented with a long list of possibilities, but three stood out: Fifty-three percent of those polled cited child abuse and neglect; 51 percent answered alcohol, smoking and substance abuse, and 50 percent chose nutrition, hunger and obesity. 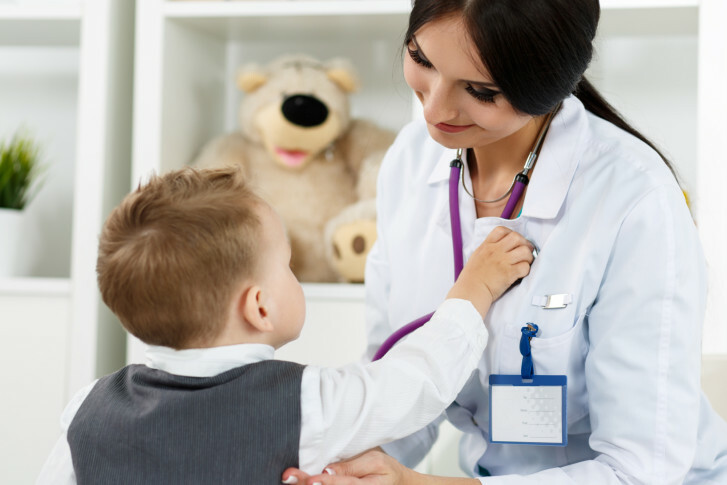 “When I look at the results of the poll, what I see is that the general public is becoming so much more aware of all of the things that influence a child’s health and well-being,” said Dr. Cara Biddle, a pediatrician with the Children’s National Health System. She is not surprised that child abuse and neglect tops the list, saying it has an extremely profound impact not just on a child’s mental health but his or her physical state as well. One other thing stands out to this local pediatrician — the link between these issues and child poverty. “We are recognizing more and more that poverty in and of itself is an extremely strong risk factor for poor health,” Biddle explained, noting that such kids are also more likely to have asthma and be prone to injury and a whole host of other health problems. She says all adults and parents need to speak out more about these health priorities, and politicians need to listen, adding she would like to see an increased focus by both major party presidential candidates on matters related to the health of the nation’s kids. The latest Mott poll results were made public as advocates for children’s health began to arrive in Washington to lobby Congress for their cause. On Wednesday, patients, family members and doctors will fan out on Capitol Hill for the annual Speak Now for Kids Family Advocacy Day.